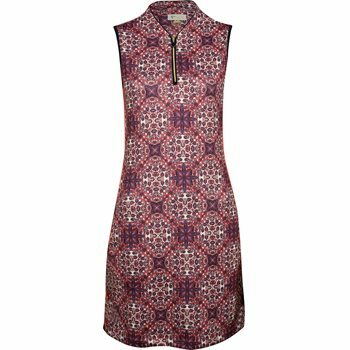 The Greg Norman Valence Zip Tulip Collar dress is designed with sleeveless construction for easy swing motion on the golf course. It is also designed with a bandana printed pattern that’s stylish enough to wear off the course. Additional design details include a zip placket with tulip collar, solid color side panels with contrast piping, and pockets for personal items/golf accessories. The fabric provides stretch so you can feel comfortable and move naturally without restriction. It also provides durability for machine washing and resistance against shrinking and wrinkles. How long is this dress, what is the length?